I feel like I spend a lot of time at cemeteries and battlefields. I think I default to them as a destination because I can’t help but feel like it’s a meaningful way to spend time, and entering my fourth month on the road, teasing out meaningful ways to spend time has become a familiar facet of my life. I read the book The Killer Angels in middle school. 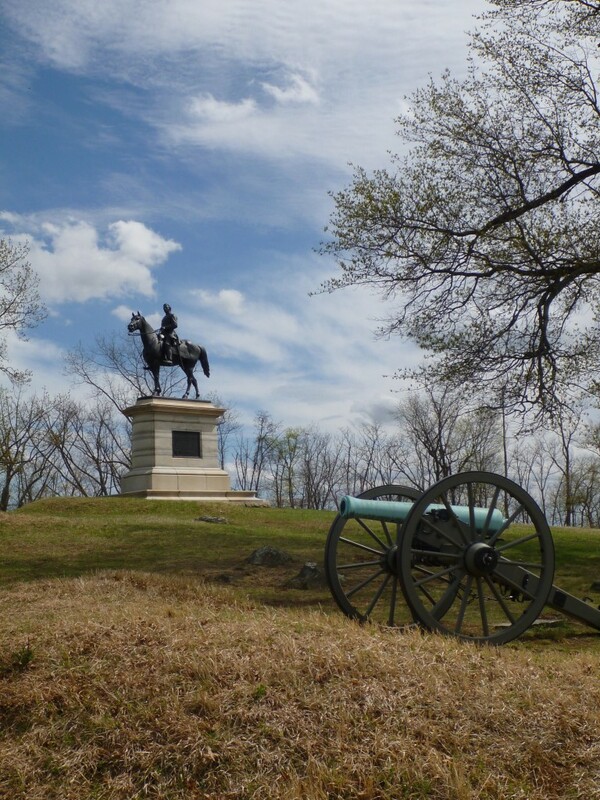 It details the strategic decisions of both the North and the South during the four day battle of Gettysburg. I remember only bits of the story, but having it retold to me with the gently undulating pasture lying under my feet made it tangible. 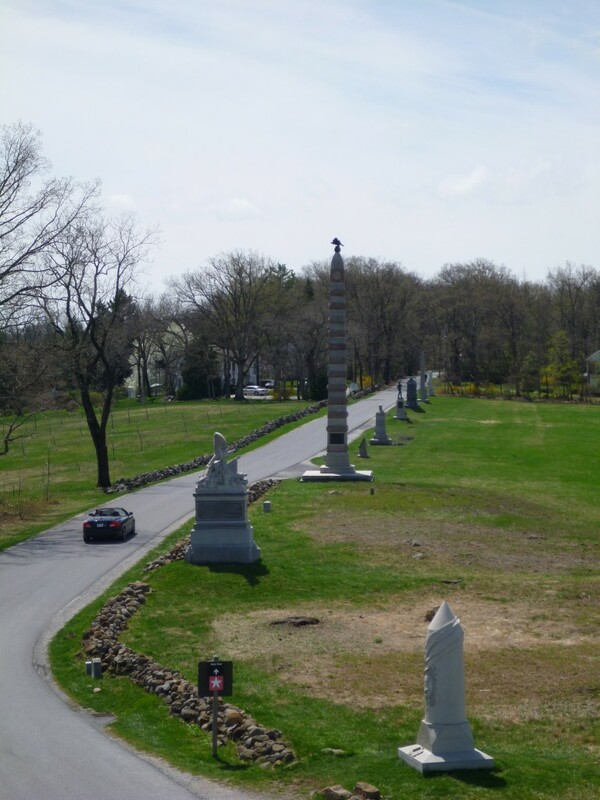 The auto tour is lined with statues and sculptures that memorialize specific regiments. They were identified by State and regiment number (ex 12th Massachusetts). It’s tough. 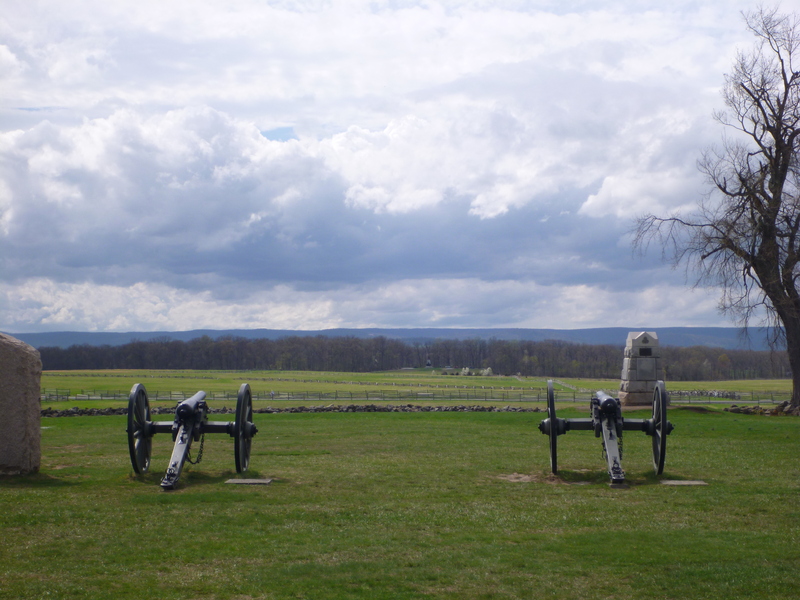 Gettysburg National Military Park (site / wiki) is huge. It takes hours to drive the entire auto tour, and I couldn’t keep my head in the game the entire time. My enthusiasm waned, and through the day I took fewer pictures and spent less time reading the placards. The whole park is very well done, but after six hours I was saturated. The Gettysburg National Cemetery was formally established the same year of the battle in 1863. A total of 8,900 people were killed. The first was when I stopped at the tree line where Major Generals Pickett, Trimble, and Pettigrew along with 12,500 confederate infantry began their 3/4 mile march East towards the center of the Union line. The attack now known as Pickett’s Charge lasted less than an hour, and at its conclusion 1,123 Confederate soldiers had been killed, and over 4,000 were injured. 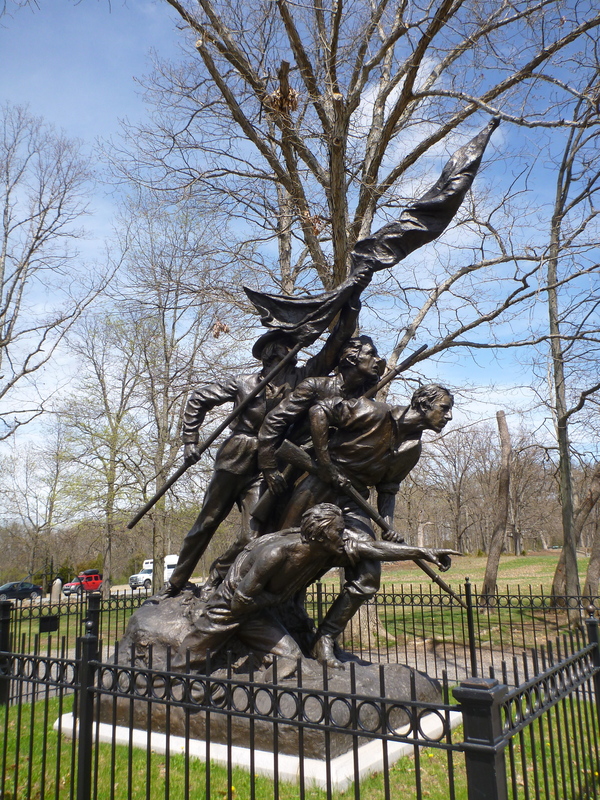 Statue memorializing the men of Pickett’s Charge. The field they marched through is over my right shoulder. 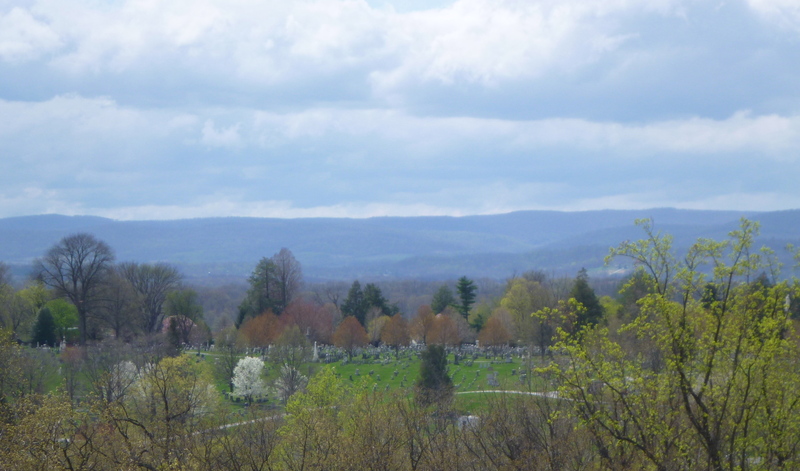 The second thoughtful stop I had was up on the low ridge line that Pickett and his men were trying to capture. I imagined the mile wide Confederate marching line. I imagined the roar of 160 thundering cannons and thousands of crackling muskets. And I imagined the hoots and hollers of Union soldiers after seeing a low angle cannon shot skip across the field to meet its targets. The Confederate marching line would not have fit into the width of this picture. Shoot! good catch. Thanks, and enjoy! Hi Jay! If you ever have a chance, ‘The Killer Angels’ is a great book about the Battle of Gettysburg written by Michael Shaara. ‘Gods and Generals’ is its prequel, written by his son Jeff after his father Michael died. One of my favorite books. Shoot! Haha I got the titles mixed up then. I read The one that’s just on Gettysburg so it must have been The Killer Angels. That was back in middle school so I hardly remember any of it. I’ll have to read it again sometime. The details of the battle and the personalities of the generals will stand out better this time around, I’m sure.